As much as I’d love to throw a big holiday party, it seems as though everybody’s evenings for December are always solidly booked with family obligations, work parties and other get-togethers. But I’ve been toying with the idea of having a casual open house holiday party this year, when folks can stop in throughout the day on a Sunday for some small bites and a holiday drink or two. I love the idea of having waves of small groups of friends coming over throughout the day. No loud music or crowds means I’d be able to have actual conversations with guests and wouldn’t have to worry about everybody being able to find a seat. And another bonus of not having a Friday night party? Having all of Saturday to prepare. I’d make foods that could be pulled out of the fridge throughout the day as the food table needs replenishing. How easy would that be? 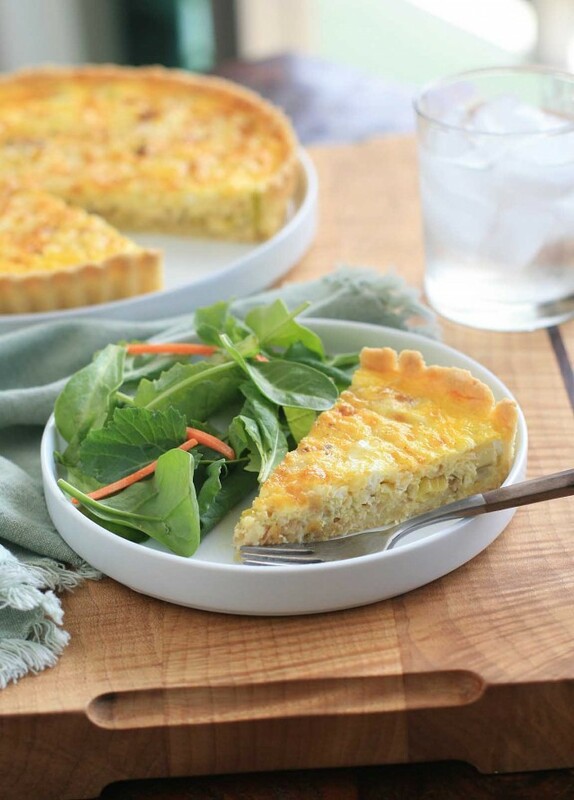 Mini versions of this savory tart, with sauteed leeks and onions and a good sprinkling of shredded Gruyere, would be perfect. 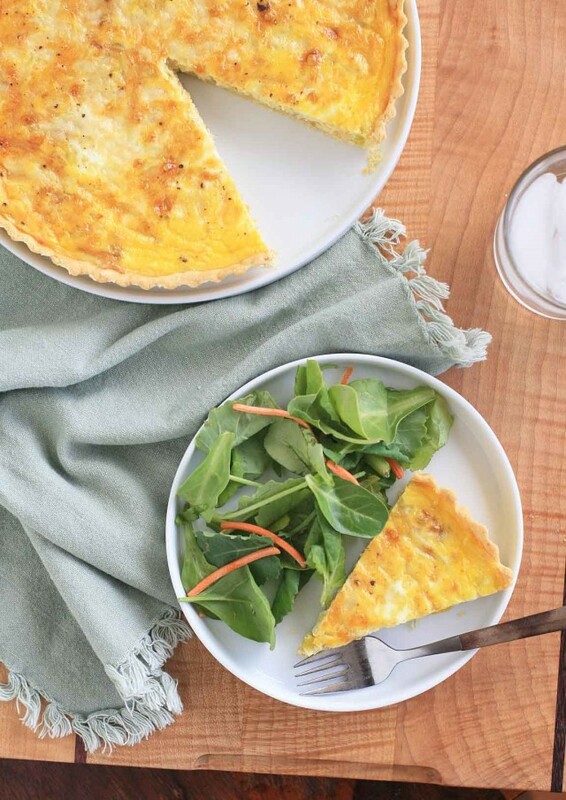 I can’t say that I really understand the difference between a savory tart and a quiche, but this tart has a slightly different egg to heavy cream ratio that I normally use for quiche. It’s also a bit heavier on the filling. And while you don’t get as many unbroken segments of smooth, savory custard as many quiches, the result is a more intense flavor from the sauteed leeks and onions. But if the holiday open house doesn’t happen this year, this will still definitely be on the menu for a weekend brunch. And one final note: you can serve it warm or at room temperature the day you make it, but I found that the flavor was even better the next day after sitting overnight in the refrigerator. Preheat oven to 375 degrees and spray a 9 or 10-inch tart pan with cooking spray and dust generously with rice flour. In a large bowl combine the millet flour, rice flour, potato starch, sweet rice flour, tapioca starch, sugar, xanthan gum and salt. Add the butter and use a pastry cutter to cut the butter in. Add the egg and lemon juice and mix until the mixture comes together in a ball. Use the heel of your hand to quickly knead the dough to ensure even blending. Do not overwork the dough; you do not want to melt the butter. Place the dough on a large piece of waxed paper. Cover with another sheet and roll out the dough to the appropriate size. If the dough feels tacky, you can refrigerate it for 10-15 minutes. 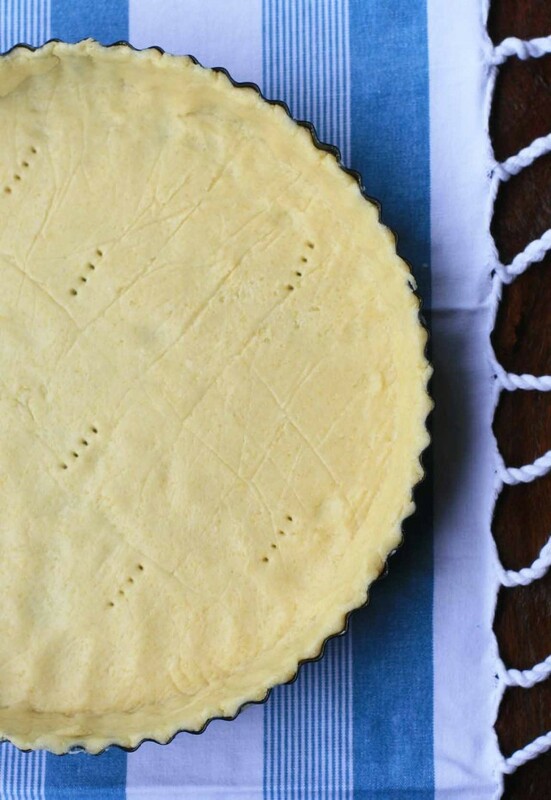 Gently peel off the top layer of wax paper and invert the dough into the tart pan. Remove the other sheet of waxed paper and press into the pan. Partially bake the crust for ten minutes. Remove from the oven and let cool slightly. Finely slice the white and pale green section of the leeks, discarding the darker green sections (or save for making stock ). 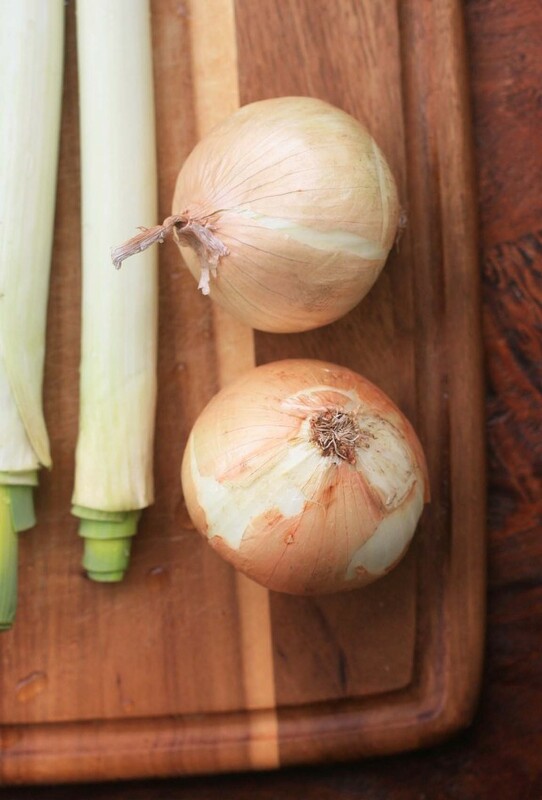 Wash and drain the sliced leeks. Melt the butter in a medium saute or frying pan over medium heat. Add the sliced leeks and diced onion and cook, stirring occasionally, until soft. 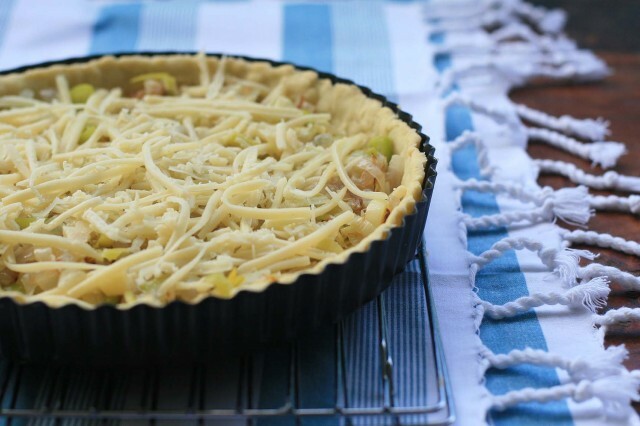 Spread the mixture into the prebaked crust and then sprinkle evenly with the shredded Gruyere. Beat the eggs in a medium bowl and then whisk in the heavy cream. Season lightly with salt and pepper. Pour over the leeks, onion and cheese mixture. Bake until the tart has set and the surface has lightly browned, about 15-30 minutes. Remove from oven and let cool. Serve at room temperature or cover with a piece of plastic wrap and refrigerate until serving.